All areas of domestic work are undertaken including but not limited to the key services listed below, if you do not see a domestic service you require please get in touch for a chat. 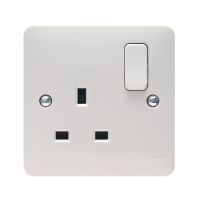 Installation, testing and certification of additional sockets, lighting, showers, whirlpool pumps, heaters, outbuilding power, cooker outlets etc, anything in your home, garden workshop or garage. Supply and fit or just fit. All work comes with an NICEIC backed 6 year guarantee for your piece of mind. Replacement of old redundant consumer units along with replacing or updating those from previous regulations. 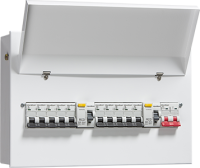 Fully compliant with the new BS7671:2018, this type of unit provides automatic disconnection of supply in the event of a fault. 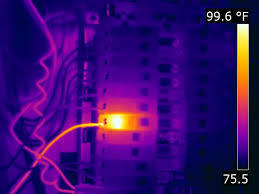 Periodic testing and inspection will reveal if any circuits are overloaded, show if any shock or fire risks are present, identify defective electrical work and highlight any lack of earthing or bonding. It is recommended every 10 years for Residential Dwellings. EICR or Electrical Installation Condition Reports let you know precisely the condition of your electrical installation, the report primarily covers safety and any immediate dangers are notified to you immediately along with any recommended improvements as necessary. See our Periodic Inspection page for more information. 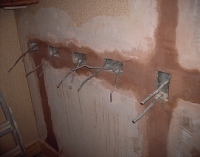 All first fix and second fix work for new build properties and outbuildings. If you are a self builder please feel free to call and have a chat about any aspect of your intended installation, we are happy to offer advice and support. 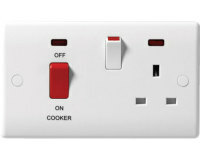 Full S-Plan and Y-Plan central heating and boiler wiring including Combi Installation, testing and certification. Electrical or hot water underfloor heating systems wired, tested and certified. Work is certified to BS7671. From a flickering lamp to a smell of burning investigation and fault finding is needed. It may be a loose connection, an overloaded circuit or maybe even rodent damage to a cable. Using the latest test equipment we aim to find the fault and rectify it quickly. 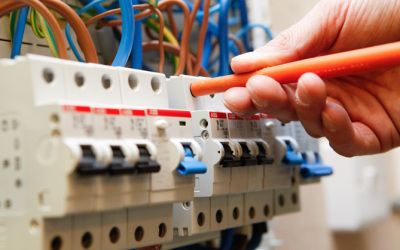 Electrical cable degrades with time and often a property will require a full or partial rewire to maintain the safety and integrity of the installation. Usually new cables are chased into the walls to conceal them, alternatively narrow trunking can be used. If you are planning on fitting a cooker or hob for the first time or changing an existing one we can help, a certificate will be issued upon completion of the work. Whether in the garage, car port or parking area we supply and install Electric Electric Vehicle Charging Units, normally a new circuit addition using cable with steel wire armoured protection. A full Domestic Electrical Installation Certificate is issued and Building Control Notified upon completion. 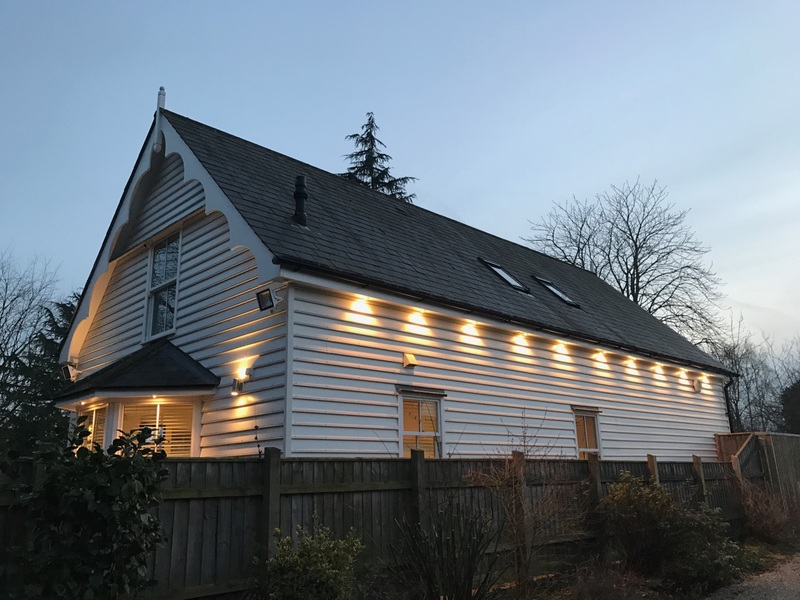 Bespoke outdoor lighting can transform the look of your home exterior, whether for security or to be aesthetically pleasing, all low power LED lamps are used to minimise the cost of running.